Over the past few years, the notion of the hashtag has become very common and well-understood. It first began with Twitter, which adopted the technology as a way to track trending subjects throughout its network. Soon after, platforms such as Pinterest jumped on the bandwagon. It seemed for a while as if Facebook was the last social media outlet to resist these developments – but not anymore. With Facebook announcing that hashtags are being deployed over the next several weeks, many social media gurus and Facebook page administrators have wondered how this will work and whether there is added value in using them. 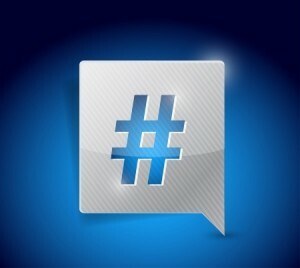 Below, we will outline three reasons why any brand, business or cause should begin using hashtags immediately. Depending on the style and subject of status updates, you may have a lot to convey to your followers. While sites like Twitter limit your ability to elaborate on virtually any topic, Facebook has no such restrictions. If you are currently pinging the server with paragraph-style status updates, many users may fail to read the entire post when browsing their status feed. Those who use hashtags can convey a summary of what said content covers, which can lead to more followers engaging and reading each status update. They will at least have an idea of what the status update entails, allowing you to make an impression in less time. Whenever trending topics appear on sites like Twitter and Tumblr, many savvy SEO and social media gurus begin discussing the topic as well. This sort of action – “piggybacking” is a good term that comes to mind – can allow your brand or business to take advantage of current momentum while appealing to audiences that may not otherwise see your message. You may also occasionally discover that topics that pertain directly to your page’s theme are trending; there possibly is no better way to find new followers, subscribers and potential customers than by using hashtags to gain additional exposure. Who says that you cannot create your own hashtags to generate buzz about a product, service, event or cause? Every hashtag starts somewhere – businesses and brands that combine a creative hashtag with effective marketing tactics can benefit greatly in terms of followers, revenue and viral reach. If you are pinging the servers of Facebook with custom hashtags, though, do keep in mind that it may take some time for any potential buzz to be generated. The adoption of hashtags by Facebook is virtually guaranteed to permanently cement the idea of hashtags in our online lives. Businesses and brands that have been seeking a way to reach niche audiences via social media will now have an alternative to micro-targeted advertising campaigns, which is excellent considering that hashtags cost nothing to use. If you wish to bring more attention to the details of each status update, find new followers when a trending topic emerges and create buzz for your page, then you will appreciate the versatility offered by the Facebook hashtag.